1.5 miles off J1 of the M6. Next, Halfords, M&S and other eateries and shops are on the retail park. One mile walk from Rugby train station. The retail park offers hundreds off free parking spaces. Welcomed as walked Thro door. Fantastic butterfly chicken the best. I hated Nando’s about five years ago and my kids dragged me back now I can’t keep away. Great service. Clean. Friendly staff. Toilets were spotless. I’m rating rugby as that was the last one I visited but would like to mention Corby and Bicester too. Keep up fab work. Little Chloe was great. Very friendly and energetic. A very bubbly personality and made us feel welcome. I agreed to go on an unexpected trip to Villa Park to watch Championship football for the first time ever on the condition that a visit to a new Nando's occurred on the way up to Birmingham and Rugby Nando's was the obvious choice given its vicinity to the M6 and plethora of free parking spaces right outside. Princess Jade, as always was so friendly and helpful and I could not rate her enough. She makes that place. The food took a while but it's always worth the wait. Absolutely fantastic service from princess (think her real name was Jade) would definitely return based on her customer service. 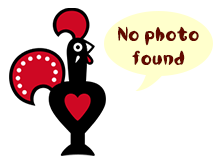 She was very friendly and polite and was very helpful as this was our first time at nandos. The food was also fantastic and looked equally as great. Hope to return soon and hope that it falls on a day that Jade is working. Stopped into this very shiny new Nando's on the way back to Brum. It's on Elliott's Field shopping park which is easily found about 1.5 miles off J1 of the M6 and offers hundreds off free parking spaces... which isn't enough. There's a large Next, Halfords, M&S and many other eateries and shops and at around 1:30pm I had to drive round twice waiting for a space to become free. It's on the opposite side of the road to a large Tesco, so you could get parking there too.